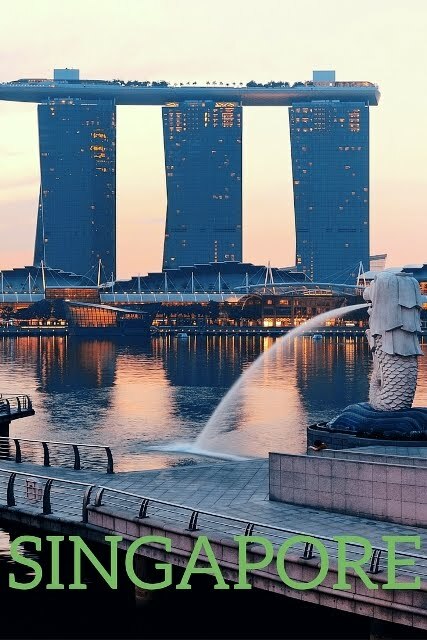 Charming, elegant, traditional yet modern, Singapore is a city of contrasts, an economic powerhouse and a fine example of diversity in South East Asia. The chaotic and ancient port is one of the worlds largest centers for trade, while stunning luxury hotels, quiet botanical gardens and endless mysterious temples lie behind the skyscrapers and exterior of the city. Singapore airport was once the home of a stopover, but today it has transformed, to become one of the most interesting places to visit on the continent. Visited Singapore in November 2106 for 3 days, my 4th time in Singapore. Singapore is a melting pot of culture, and a collage of ethnicities and beliefs; Chinese, Malay, Indian, and even Western influence can be found within the variety of foods, delightful architecture and many faces roaming the streets. Such extremes can often bring social and economic issues in other parts of the world, but it serves only as a foundation upon which to prosper in Singapore. Few places can claim such a harmonious atmosphere, where Hinduism, Buddhism, Christianity and Islam can co-exist so peacefully, and this mass acceptance is something actively emphasized by the Government and peoples of the region. Another highlight of a visit to Singapore is the food and shopping districts. Locals often choose to eat on the streets in the city, where the smell of fresh chills, lime and coriander drift through the air, but there are also many fine restaurants and high end dining for those with a preference. And then there are the local attractions and thing to do in Singapore, from the Gardens by the Bay, the Singapore Botanical Gardens and the National Orchid Garden; there is an abundance of outdoor areas to explore natural environments, and all within the city itself. Singapore Zoo is one of the most clean and best regarded of its kind, while the Waterfront Promenade is perfect for a romantic stroll or evening meal, with pleasant surroundings and amazing views. Kranji War Memorial is a reflective place to understand more about the darker side of history in this part of the world and the Buddha Tooth Relic Temple and Museum is a idyllic example of how the long traditions and culture of Singapore, is still being celebrated in the modern day. Singapore is a place of contrasts, but these differences are everything to the make-up of the city, and the personality which lies beneath. Whether you experience this splendor on a walking tour, in green leafy environments or in the exotic foods, the variety is always at the center of the experience. Shining skyscrapers are often the image most people will have of the island state city, but in truth, there is far more to Singapore than meets the eye; Singapore is no longer just a stopover, but rather a modern economic powerhouse, full of experiences, infused with culture, and one of the most interesting places to visit in South East Asia. Singapore looks like a spontaneous adventure. I'd love to visit but probably won't considering fund wise, but it's always nice to look at other peoples adventures. I've never been to Singapore before, but it does look like a very exciting place to visit. I've been to Singapore a few times. I absolutely love that place. It's beautiful. Hoping to visit Singapore anytime soon. I believe Singapore is a nice place to be judging from the displayed photos. I'd be glad to grab a firsthand experience too.. I have not been there too but i will definitely visit Singapore when I travel to Asia next year, Its seems like a really nice place for vacation judging from what I have read about the place.